1. made or manufactured with skill, ingenuity, and careful attention to detail. It’s not just our name, this word defines who we are, what we believe in, and the quality of product we stand behind. Our restaurant provides us with a means of delivering our guests with a truly unique dining experience, incredible food, and a beer selection that can’t be found anywhere else. Crafted also allows us to pay homage to the principles that our great country was founded upon— pride, determination, innovation, and hard work. This is more than just a restaurant to us. It’s our way of life, and we can’t wait to share it with you. 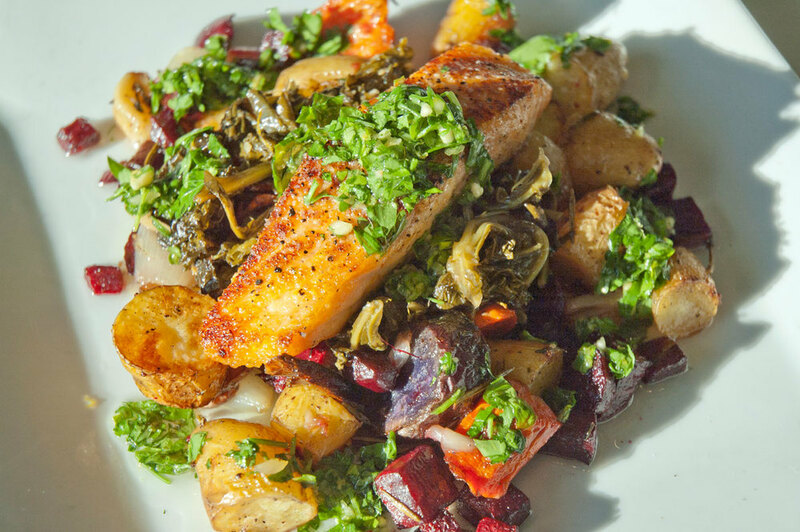 Crafted features a sophisticated gastropub menu with all items and ingredients made from scratch daily. Our emphasis on using the finest local ingredients enables us to provide a finished product with unmatched quality. Our process begins every day at 5am when we start the long process of prepping our scratch-made recipes. When the delivery trucks arrive, we go the extra mile and inspect each product by hand to ensure the quality and freshness meets our standards. From that point on, we diligently prepare each ingredient for use that day. Ground beef patties are locally sourced from Tim’s Special Cut Meats and are guaranteed to be free of all hormones and antibiotics, and never frozen. Focusing on small details like these are what makes Crafted what it is today. . . and we’re confident you’ll agree that it’s worth every penny. 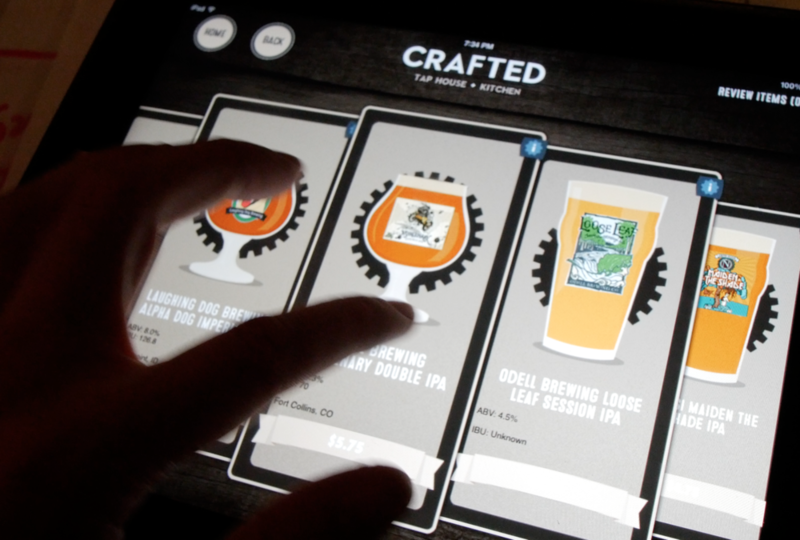 With 62 rotating taps from breweries around the globe, Crafted features a beer list that is second to none. We are proud to be at the epicenter of the local beer scene and always have a wide variety of beers on tap from several local breweries. Each member of our bar staff has formal Cicerone training so we are more than prepared to educate our customers about the continually growing world of craft beer. From beer experts to beer novices, we guarantee our customers will enjoy one of the many options available on tap at Crafted. For any company, no matter the industry or trade, the team is the most important asset. At Crafted we are very fortunate to have an elite group of people that respect each other, help each other, and work relentlessly to ensure that our customers have the best experience possible. . . we're all in. We hustle harder than anybody else because we take pride in our team, our establishment, and our product. With a tremendous amount of respect and gratitude for our customers, we provide them with an unforgettable experience. Great things don’t come easy, and that’s why we are living proof that hard work pays off. Our passion for our craft enables us to consistently deliver the highest quality product. Combine that with an energetic vibe that won’t be found anywhere else, and you’ve got a damn good idea of what we’re all about. We focus on the fundamentals… outstanding service, incredible food, and memorable guest experiences. Pour a lot of innovation and technology on that recipe and it’s like fuel on the fire.